There are so few legitimate listing agent reviews in Tallahassee, as many websites are set up deceptably to appear as review sites when in fact they are merely "paid for reviews." Google and Facebook are often times the best place to see what your real peers have to say about their experience selling a home in Tallahassee, as both of these sites work diligently to bring forward accurate information. No listing agent in Tallahassee has more five star reviews on Google and Facebook than Joe Manausa Real Estate. In fact, we have more than ALL the other listing agents in Tallahassee combined! Here's some of what you'll see if you seek reviews and testimonials on Listing Realtors in Tallahassee. Kimberly Gibbons has been a tremendous help in selling our property. After only a few days on the market we have an offer and she is very patient in having to hold our hand to walk us threw the details, having never sold a property before. Idf she is any indication of the staff at Joe Manausa Realty then I wouldnt go anywhere else! I highly recommend JMRE! Andy on the sellers side was extremely helpful, very quick to respond, and most importantly, got my house under contract in less than 90 days. Then, on the buyers side, Cait was awesome to work with. Both agents worked tirelessly (sometimes until close to midnight) to help my wife and I sell our home and then buy the house of our dreams. Thanks again Andy and Cait and the entire team at Joe Manausa Real Estate! The whole team at JMRE is fantastic! They have such vast knowledge on the market in Tallahassee. Need a lender? They have you covered with reputable people who will react as needed throughout the process. You couldn't ask for a better agency to use to buy or sell your home! Sold my condo in less than two weeks! ? this realty company is the best in town! These guys are truly Tallahassee Real estate market experts!! John Bozeman was able to get an offer for my lot in less than a month. He has good knowledge of local real estate and kept me abreast of what was happening at every step. No nonsense and worthy in everyway of thier high reviews and reputation. Thank you again! I highly recommend this office. I have personally used them for both a sale and a purchase transaction and they are truly top notch. They take care of everything, every step of the way! Joe, Kevin, Ashley, and the rest of the team are phenomenal. They are educated on the market and always available. Id recommend them to anyone looking to buy or sell their home in Tallahassee. After 4 years of trying to sell my house and being unsuccessful, I finally called JMRE and had the pleasure of working with Andy on the selling team. 90 days later, my house was under contract! Would highly recommend the entire team at JMRE. They were always quick to respond and made the entire transaction extremely easy. Special thanks to Cait on the buyers team as well. She helped my wife and I find the house of our dreams. Thanks!! Had an offer in less than a month. Very fast and very resourceful. As an out of town seller trust was very important and I trust this firm. Awesome! I would recommend Manausa to any seller. Great staff and a great business concept. We couldn't have asked for a more smooth process. Closed on the selling of our home earlier this week, and cannot be more pleased. A HUGE thank you to Andy Elliot for helping us navigate the process and always being available to answer even the smallest questions! Great job! I had the opportunity to have Andy Elliott, from Joe Manausa Real Estate, as my realtor to sell my home. Selling and buying a home is one of the most stressful events in our lives, and Andy was able to make this big transaction as stress-free as possible. Andy was easy to communicate with, quick to respond to texts and calls, very knowledgeable, and offered great resources to make sure that my home was well positioned to be sold as soon as I needed it to be. Definitely recommend Andy as a realtor, and will keep doing business with Joe Manausa in the future! Eva Armstrong!!! True asset to Joe Manausa Real Estate! What can I say? To begin with, Eva sold our home to the first prospective buyer who walked through our home. Also, we were able to get a price that we were very happy with. Eva put in hours upon hours of hard work helping us get the house ready to show. Eva had plenty of tips and insight on how to stage the house for the maximum benefit. Eva was in constant contact with us throughout the entire process. Her communication is second to none!!! Every question or comment is answered promptly. When we had a few issues with inspection, Eva was right there with advise and solutions. Top Notch Agent in Tallahassee!!! As my first experience selling a house, this group was superb. The knowledge and communication that came with this group was awesome. I have already recommended them to a couple of people and would continue to do so. They will always be there for you for any question or issue. Great company to work with. Super nice and knowledgeable. Andy, John and Ron all make sure there is an open line of communication and will do everything they can to solve any problem. Thank you for all the hard work that was done in selling. Ron excelled in providing services to us; he was always timely with his appointments, and has answers to all relevant questions pertaining to this closing. Eva patiently guided me through a long, frustrating short sale. She made sure my home had buyers, kept me informed and made herself available when someone needed to be at the property. I would recommend her to anyone. The company linked me to an attorney and used modern doc signing tools so that transactions were painless. I have known Alex Nunez personally for many years and would highly recommend him for all your real estate needs. Although I have not had the opportunity to work with him yet, he would be my first call if I ever wanted to sell my home or was in the market for a new home. You won't be disappointed. Working with Joe Manausa and his team has been an absolute pleasure from day one. I can't imagine working with a more knowledgeable or effective team of realtors. They REALLY have this Internet stuff down to a science. Prepare to be blown away! We thought we had a good understanding of what it took to sell a home, but once we saw what this company does, every single day, we knew their internet marketing plan was going to get our home sold. I feel so grateful to have come in contact with such a knowledgeable, professional and FAST moving Realtor. Menza & Carol did an excellent job processing our short sale and finding a buyer quickly. Andrea Chapman is the best, she does not miss a beat. She thinks of everything. She keeps in contact with her clients. While you are sleeping she is thinking of stuff you need to know and is on her computer emailing you. I love her to death. She is a gem. She is really a people person. I think everyone needs a Andrea Chapman. We were a bit “shocked” when Joe told us the home would most likely sell in 4 to 14 days, considering our last agent failed to sell it in 6 months. But sure enough, we had an offer on the 11th day and were able to close on our Tallahassee home in less than 3 months from our first meeting with Joe. Bill was outstanding throughout the entire process. The professionalism, service and advice he rendered was first class. We are extremely satisfied and would definitely rely on him again for our future real estate transactions. Eva Armstrong not only sold my house quickly, she took care of getting several things fixed as I am an out-of-town seller. She went beyond my expectations and I would enthusiastically recommend her to anyone selling (or buying) a house. So often one hears the phrase, "We're here for you." Jennifer Chapman is one of the few who makes that statement true. Her professionalism coupled with a determination to accomplish what is the best possible outcome for her client make her stand out from other realtors. Taking time to walk me through the process and keeping me informed every step of the way was invaluable to me as a first time home buyer. After following various real estate companies in the Tallahassee area for two years, we decided to go with Joe Manausa Real Estate. Joe and Michelle Manausa are very knowledgeable and have a good handle of the real estate market in Tallahassee. After four years of trying to sell my house, I decided to take it off the market. The day after my house was taken off the market I received a call from Ron Rice, Manausa Realty. Ron said he could get an offer on my house within 30 days. Within a week I had an offer and sold the house within 45 days. Ron and his assistant Tom Hutchinson carried through with their promises and most importantly provided outstanding service. We needed to sell our house in Tallahassee so I went to Joe Manausa Real Estate. Ron Rice worked with me to explain their process to get a house sold, as well as an overview of the Tallahassee real estate market at that time. They were able to get an offer on our house in 4 days and we closed in less than a month. If you are selling your house, I recommend that you contact Joe Manausa Real Estate. Andrea Chapman was just fabulous and kind. She was the best realtor among my experience. She had prepared everything I need in a really considerate manner and I have everything I need from her immediately on the spot. Definitely I want to suggest her to someone who wants to buy or sell a house. Robin was outstanding throughout the entire process. The professionalism, service and advice she rendered was first class. We are extremely satisfied and would definitely rely on her again for our future real estate transactions. My husband and I were extremely pleased with Jason’s performance. We greatly appreciated his flexibility with scheduling and his eagerness to find us the home we were looking for. Jason went above and beyond to meet our needs and even reached out to people in North Carolina to ensure that our home there successfully closed on time. Again, we have nothing but good things to say about Jason. We will definitely recommend his services to family and friends. Sold our house in one month! Excellent internet marketing and friendly staff. Thank you! I recommend Joe Manausa Real Estate Manausa & Associates and Ron Rice to anyone selling in Tallahassee. We thought it would be a difficult, time consuming process to sell my mother’s damaged home, but Ron Rice made it easy and much quicker than we anticipated, We are so grateful for all of the help. About the Tallahassee Real Estate Newsletter - I found it very helpful in the time preceding the listing of our home for sale and contemplating the construction of a new home. With our house scheduled to close soon, I think I will pay a little less attention. But this has been most helpful; a great service. Sold home. Thank you for excellent newsletters. I would recommend Damian Costantino and Joe Manausa Real Estate to anyone looking for a stress free buying/ selling process and professionalism! Eva is sincere, efficient, and knowledgeable in her role as a realtor. She always went the extra mile to provide outstanding service with limited stress on both occasions when I purchased and sold a home. I strongly recommend Eva and the Joe Manausa Real Estate Team as one of the best in the real estate industry. I worked with Alex Nunez at Joe Manausa Real Estate. I would highly recommend Alex. He is very professional in every way. His recommendations were well thought out and I feel his expertise in the real estate market helped guide me as I made the decision to sell my house. I have no regrets. Joe and Michelle Manausa were great to deal with on both the sale of our home and purchase of our new home. They were able to sell our house in less than 3 weeks! Best of the best! Joe sold our home in 3 weeks! Before placing it on the market, he sat down with us and discussed our pricing options based on when we wanted our home to sell. We were impressed with the professional quality photos he took, and especially his use of a drone to get aeriel shots of our home. Because our home sold quickly, we were able to purchase our dream home. We felt comfortable with the negotiation process and every detail was taken care of. A few questionable items popped up on the inspection and Joe made sure to investigate our concerns. Our home buying process was about as non-stressful as it could have been. We LOVE our new home! I highly recommend working with Joe if you need to buy OR sell a home! His market knowledge allowed us to feel confident about our decisions to buy and sell. I love working with Eva Armstrong. She is very knowledgeable and professional. I had the great pleasure to work with Eva Armstrong. She is a true professional, quick to respond to my questions or requests. I hope to work with Eva in the future on another investment property. One word, "Outstanding". Alex Nunez is the best agent I have had the pleasure of working with. Professional, courteous, and genuine. They have the best web site and real estate information I have ever seen in the industry. They publish more information on the industry and the Tallahassee market than any other Broker I have known. If you want to be educated on the Tallahassee and Florida Real Estate market, this is the site to look at. Our realtor Eva Armstrong is WONDERFUL and FUN to work with!!!! She keeps you informed, listens to your concerns and makes you laugh! We HIGHLY recommend her! We use Century 21 First Realty for all of our real estate transactions and have always been impressed with the degree of knowledge of thier real estate experts. Each transaction went very smoothly and I cannot reccomend then enough. Great team! First working with Kevin to find a new home. Ron handled the listing of my old home and Lindsey got two offers - above asking price - over Thanksgiving weekend. Impressive! I really like the team approach -they've got experts in all aspects of home selling, and I'm now buying! Joe Manausa Real Estate, and our agents Ron Rice and Lindsey Begue, helped us go under contract on our house after 2 days on the market for $10,000 over price list. They really know what they are doing, and they are able to use their knowledge of business and economics to form a strategy to get a house sold. I couldn't believe it, but the results spoke for themselves. I was really glad to have chosen them to help sell our house. Thanks! I had people looking at my house during the few days it was "pre-listed." Within five hours after it was officially listed, I had two offers. All has gone extremely well. I could not be more pleased. We strongly recommend working with Garrett Jacks, Ron Rice and Lindsey Begue of Joe Manausa Real Estate. Each were extremely informative, professional, and attentive to our needs and concerns. They really had our best interest at heart. After meeting with the staff of Joe Manausa Real Estate, we were able to make a sound financial decision for our family. Even though we decided to hold off on selling our home at this time, we were supported throughout the decision making process. Miss Eva went above and beyond to help with any situation we had encountered. We would highly recommend this establishment for any and all realty needs. Lindsey Begue! I went on a weekend vacation, and when I came back, she had a full price offer waiting for me along with an acceptance of my offer on a new house. Who sells and purchases within 48 hours??!! Also have a double closing only 10 days apart. Does it get any better? My wife and I have had an awesome experience with Joe Manausa Real Estate. The market data and information on the website is the best of any I have seen. Michelle Manausa has served as both a buyers' and selling agent for us. Most recently, Michelle listed our house for sale, and we received an offer immediately (within 3 days). We highly recommend Michelle and Joe Manausa Real Estate if you are looking to buy or sell a home. My experience with Eva Armstrong and the Joe Manausa Real Estate Agency has been a very pleasant one. They were a wonderful partner during our recent time of purchasing a new home and selling our former one. They went as far as selling our house while we were traveling in the Antarctica. All was done by electronics and everything went as well as could be expected. I appreciate their dedication. From pricing my house, to great photos and advice on when to put the house on the market, and seeing me all the way through to closing and finding my new home, Lindsey and Ron were outstanding! In fact almost the entire team helped me at various points so the team concept is one of the strengths of JMRE. Excellent personalized service. John Bozeman is super responsive and easy to work with! I will certainly work with them in the future. I strongly recommend Realtor Kevin Milligan. He is a true professional. Kevin is smart, capable and energetic with extensive knowledge of the Tallahassee real estate market. The entire Joe Manausa real estate team is first-rate and customer friendly. Top quality organization. I would recommend them whole heartedly. House sold fast and closing was quick. Selling my home proved a challenge, but one that was accomplished by Andy Elliot, Ron Rice, and company at Joe Manausa Real Estate. They stuck with me through repairs that had to be made, the contingency period on my place, and I even a hiccup with a false positive lead test ! I got a better price for my house than I ever thought I would have. They calmed me down when my anxiety got the better of me and I thought sure that the house was never going to sell just by being re-assuring and giving me direction with what I needed to do to help my house sell. I can't thank them enough. We hired Eva Armstrong and Joe Manausa Real Estate to help us sell our house on the St. Marks River south of Tallahassee and couldn’t have been more satisfied. Her knowledge of real estate in the Tallahassee area and her energy levels in pursuing our objective went well above and beyond the call of duty. Our house presented major obstacles that she overcame with grace, elegance and plain hard work, far better than any realtor we have ever dealt with. Recently, we have been absentee owners now living in the Pacific Northwest. We came back to check on the house to find that it had been throroughtly trashed by the previous renters (think of hazmat suits needed for safe entry - we kid you not!). To make it livable either for sale or rent was going to take a great deal of planning, money and work. Eva stayed with us every step of the way from finding and vetting contractors to checking and personally overseeing needed work when we returned home. Throughout the process she kept us informed of her progress, answered all of our questions and promptly returned phone calls. When the house was ready to put on the market, she worked out a sales plan that produced a number of interested potential buyers in a very short time. When the right offer came in, she arranged the closing in record time, and we got the amount we agreed to with no hassles or delays. We can’t say enough good things about Eva and the backup she got from her company. We highly recommend her. My wife and I sold our house in Tallahassee in less than a week with an over well above a solid asking price. Ron, Andy, and the rest of the team were fantastic to work with. Sold a townhome that was in rough shape, buyers were scarce. Travis kept me informed the whole way and I received my asking price. Highly recommended. I sold a townhome that was in rough shape and buyers were scarce. Travis kept me updated and I received my asking price within only a few months on the market. Highly recommended. I never thought we'd sell our house so quickly! The service we received was excellent. Andy was very thorough, kept us updated every step of the way. I will gladly refer them to my friends and family. This is the first time I've sold a home. I knew nothing about the process and when I met with John and Andy the first time I knew I was in good hands. They explained what to expect and what will happen each step of the way. I am so appreciative that they take the time to explain everything. The folks at Joe Manausa do their homework and have on hand all the stats for the market in my particular neighborhood and Tallahassee and the surrounding area in general. Very impressive. They even generated interest on my home before it was "live" on the market. WOW....RIGHT? Just sold a very hard to sell townhome, Travis stayed with it the whole way and kept me informed every step of the way. Highly recommended! Ron Rice and Andy Elliot helped us sell our house and they did a great job! Very helpful, available at all hours to answer questions (and I had many), and paid attention to every detail. Super informative and caring agents who will work with you to find you exactly what you're looking for. I would never work with anyone else!! Stacie Boone is the best relator we have ever used! Tell her what your looking for, budget and normal basic information and she will deliver. Stacie will not try to sell you something over your budget or outside your initial parameters. If you looking for an honest, personable, REAL person, then give her a call. Andy Elliot was great to work with he always kept us updated every step of the way. I would both recommend and use Joe Manausa real estate again. Manausa and Associates helped sell our house. Their knowledge of the local market and expertise made it a very quick and pleasant experience! Our agent was very professional and helped me through each step of the process. We were very surprised how quickly it sold. The entire process from start to finish was very smooth. Eva B. Armstrong is a knowledgeable, hardworking, efficient and approachable realtor. Her sophisticated communication skills plus vast relationship with all kinds of professions make house closing smooth and successful. I thank Eva B. Armstrong for the fabulous service and Joe Manausa Real Estate for all kinds of supports. You are the best. I had a very positive experience working with the whole team at Manausa - Lindsey, Kevin, Andy, Ron, and Cay were all wonderful. They spent a lot of time with us explaining the Tallahassee real estate market and what we could expect. They all promptly returned our calls and texts and patiently walked us through the entire process. They were friendly, reassuring, and were available whenever we needed them. I hope to not buy another house for a long time, but if I do, I would not hesitate to use Manausa again! Our agent Eva Armstrong was absolutely wonderful. She was our agent for selling our home and buying a new one. Selling our old home was a bit of a challenge as it was in a neighborhood with very minimal turnover so setting a price was not easy. She guided us through a process that prompted an immediate sale. Her staging suggestions were very helpful. The first people who saw our home bought it. Finding a new home was also a challenge but she worked with us until we found just the right place. In just 40 days we went from listing to closing on both homes. We couldn't have asked for better service and support. We highly recommend Eva Armstrong. Toying with the idea of selling a home in today's market was quite intimidating. My family and I truly adored our home, which we purchased over nine years ago. At that time, we were a family of four. Now, a family of five we found our charming home cozy but a bit too small. This past summer we decided to seriously explore the idea of purchasing a home with the much needed additional space. In searching for a creditable real estate agency we took in consideration a number of desirable qualities and traits: problem solver mindset, engaging personality, attention to detail, and above average understanding of the local housing market. The decision was not a difficult one. We found the right choice posted in plain view right next door--a red, white, and blue sign that boldly displayed Joe Manausa Real Estate. Besides, the neighbor's house sold within a week of hitting the market! I was oddly convinced that the red, white, and blue could very well be indicative of one's pursuit of the American dream. Joe Manausa Real Estate Team stood out above the rest. Their social media presence was strong. A few computer clicks later I was enthralled by Joe Manausa's user friendly web site, which offered real time updates and access to experienced agents right at my fingertips. Evidently, a lot of work went into each and every one of their listings. We were fortunate to speak with Lindsey. She promptly arranged a time for us to meet face to face and introduced us to the "buyer team." We were concerned that our house, which was located in a neighborhood with countless similar homes on the market would be tough to sell. Kevin confidently answered questions, provided objective data, and supplied tons of info on comps in the area. He most certainly possessed the engaging personality and expertise that we were searching for. Cay's attention to detail and helpful reminders were pivotal to helping the process run smoothly. Lindsey was there throughout the entire process. She went beyond the call of duty in providing superb customer service by walking us through every step of the closing process. Ultimately, I realize it isn't always easy to sell a home, but I think you'd be hard pressed to find a better Realtor. We have had the best experience with Manausa! Garrett is a fantastic relator and has helped us on both sides of transactions. He is very supportive, helps us get answers to all of our questions and provides great support. Travis has been a great addition to the team and has been incredibly helpful with even the small details. Working with this team has been a pleasure. My experience with Joe Manausa Real Estate was great, my house was sold in record time, incredible greatful to everyone involved , explained every step of the way and answered every questions . Andy was very helpful , easy to talk to and was very helpful in explaining the process. All my expections were met. Would recommend Joe Manausa realty to all my friends. Great experience from start to finish..
What an awesome group to work with! Having worked with other Reltors, Manausa group took it to the next level. They helped with handling every detail, above and beyond what anyone would expect. Was consistently impressed with the professionalism and determination of the staff at Joe Manausa Real Estate to sell my house and property as quickly and efficiently as possible. All aspects of the process were clearly explained to me and each and every staff member was kind and courteous in handling my account. Travis Owsley was my primary agent and was great at keeping the process on track. Ron Rice was my first contact and got things going very quickly. Andy Elliott was another agent who assisted in this process. Overall a very good experience and I would certainly recommend the Joe Manausa Real Estate company to anyone looking to buy or sell. Loved the team and the experience! The Joe Manausa Real Estate team were at all times professional and experienced at marketing and selling my home and property. So grateful for all their help and assistance. I had a home in Tallahassee, Florida and got an offer two days after it listed. Ron Rice from Joe Manausa Real Estate was indeed an expert in this field, excellent judgment on the price and had effective marketing strategies. I am extremely grateful to Travis Owsley, who was absolutely awesome. He was very considerate, respectful and professional. He stayed in contact with me consistently throughout the process. Since I live in Georgia, he took the responsibility on dealing with issues from the home inspection reports. He hired excellent contractors to work on electrical, stucco and wood rot problems. That was a lot! Thank you again Travis and the entire Joe Manausa team for a job well done. I had a home in Tallahassee, Florida and got an offer two days after it listed. Ron Rice from Joe Manausa Real Estate was indeed an expert in this field, excellent judgment on the price and had effective marketing strategies. I am extremely grateful to Travis Owsley, who was absolutely awesome. He was very considerate, respectful and professional. He stayed in contact with me consistently throughout the process. Thank you again Travis and the entire Joe Manausa team for a job well done. We have nothing but wonderful words for Michelle Manausa at Joe Manausa Real Estate. We worked with Michelle to sell our current home and purchase a new home, both in Tallahassee. Michelle and the other staff were always friendly and accommodating. The company website was easy to navigate and, unlike other popular sites, provided up-to-date status on the listings so we were aware if homes already had a pending sale. Michelle assisted us in securing assessments and inspections quickly, sometimes using her working relationship with the companies to help us receive speedier service. Michelle offered helpful suggestions in prepping our old home for sale, and we had an acceptable offer within 1 day of listing! Overall, we were very pleased with our experience working with Joe Manausa Real Estate, and we highly recommend the company for anyone looking to sell or buy real estate in the area! Amazing service, very helpful and professional. Kevin and Alex had an informative presentation for us as newbies to the area. We will recommend Joe Manausa to others! I would highly recommend working with the team at Joe Manausa Real Estate for all your buying and selling needs. My family and I couldn’t be happier with the attention and guidance we received during the sale of our home and the purchase of our new home. We are uniquely qualified to give this recommendation as we were looking to move locally so we got to work with some great professionals on both the selling side, (Travis Owsley) and the buying side (Garrett Jacks). We are so grateful to have worked with Travis and Garrett. They both made this process seamless and stress free. Another aspect of Joe Manausa Real Estate which we really appreciated was how apparent it is that this company is very veteran friendly. It shows in their leadership and the team they have put together. It is clearly a value of the company and not just for show. Travis and the rest of the team at Joe Manausa Real Estate did an excellent job selling my home. The house was under contract in less than 2 days after listing! I highly recommend them. The team at Joe Manausa Real Estate went above and beyond and exceeded our expectations. Thank you Kevin, Garrett & Cay for making this a smooth transaction for us. We highly recommend working with the team at Joe Manausa Real Estate in Tallahassee, Florida for your real estate needs. Wow, Great service! Made selling the family home quick and painless! My husband and I were ready to sell our house or so I thought. Great house, perfect location etc. A few days on the market and my husband drops a bomb that he is not ready to sell. The team from Joe Manausa are the best ever. You have one team to sell your house and one team to help you purchase a new one. They educate you and are there to help you in any way possible. After ALL the work they did to market my home and look for a new one they were not even mad at us. They were still polite and understanding. Don't look anywhere else for a Realtor. Call them!!!!!! Andy, Kevin, and Lindsey (Listed home or lot/land, but WE chose not to sell) So sorry. Andy got us an full offer the same day we signed would highly recommend the team. I would definitely tell you to give Eva Armstrong a call! She has went way beyond to help us and put us in contact with other people to help us as well. Will be telling all my friends about what a great Real Estate company Manausa is and how much they will do for you! Eva is a really nice and easy to talk too ,you will be happy with her service!! Andy was wonderful! We received an offer and sold our home all within 35 days! Great service and fast results. Buying a home can be exciting. Selling a home can be emotional. Trying to coordinate both can be stressful. Eva Armstrong and Ron Rice at Joe Manausa Reality are great. Eva took the time to ask all the right questions to find us our dream home. Eva is professional, polite, and is clearly an experienced realtor. Eva ensured we were well represented, we were clear on all our options; she supported us every step of the way. Ron Rice was up front communicating Plan A and Plan B to selling our home. He exuded confidence in his and the company's ability to succeed without being over zealous in his promises. Our house was under contract in 11 days at full ask! I would recommend Joe Manausa Real Estate to anyone looking to buy or sell their home. Great staff and very friendly. Helped with selling and purchasing a new house. Would highly recommend Marcus and Andy for your real estate needs. Don't. I anywhere else. 5 stars. We could not have asked for a better experience than we had with Joe Manausa Real Estate! We contacted them as my husband had taken a job out of state and I was finally ready to sell the house and move out to join him. I was very leery of selling a home by myself but they made it so easy! They were with me every step of the way, walking me through what needed to be done, step by step. They had a marvelous marketing plan that led to me selling my home the first day I put it on the market, for over my asking price! I had a great experience dealing with Andy, Travis and Amy. No question was too minor and they were always quick with a response with friendly demeanors and professional behavior. Everything went smooth as silk, all the way to closing. They operated like a well oiled machine and there were not any glitches or last minute surprises! If I were still living in Tallahassee, I would use Manausa for all of my real estate needs! Cannot say enough! Give them a call, you will not be sorry! Update: We recently sold our second home (outgrew it) using Stacie . Again, we completed the entire process from a distance. Stacie was in constant communication and really made the process easy. She coordinated with our property manager to prep the house for sale and quickly got us an offer. We were anxious about the process of negotiation and counter offers but Stacie was great at talking things out with us and helping us reach a deal that got us what we wanted and was quickly accepted by the buyer. I can not recommend her more highly and I look forward to using her again. Previous Post: We had a fabulous experience buying a second home with Stacie Boone at Joe Manausa Real Estate. We live out of the country but were interested in buying a second home in Tallahassee for use as a home base/retirement property. We were referred to Stacie by USAA and could not have been happier. She discussed our desires and came up with a list of homes that were strong contenders. Even though we were unable to locate a property that worked for us while on our vacation, she kept her eyes open and helped us locate the perfect place. She took supplemental photos so that we would could get a feel for the home even though we weren't there. We made an offer and she was able to assist us with closing, all while we were still overseas. The level of service we received was top notch and I would definitely recommend Stacie to anyone looking to buy a home in the area. Making such a large purchase can be stressful, especially if you are miles away but Stacie took all of the worry out of the process and helped us to get the perfect home for our family. Eva Armstrong of Manausa Real Estate is terrific!. She had a contract on our house in a few days and then was on top of everything until closing. Eva is honest and she knows the Tallahassee market really well. She knows how to evaluate and price property. She really, really helped us out, and she was nice to work with too!. We strongly recommend Eva!!! Joe and his team are very dedicated to their customers and extremely knowledgeable! I would highly recommend them! The Joe Manausa buying and selling teams are the best! I thought simultaneously buying and selling would be an impossible stress, but I gained my initial confidence through Marcus Edenfield and Andy Elliot, who shared with me their comprehensive knowledge of both selling and buying in Tallahassee. On my house hunt itself, I have been working mostly with Jordan, and she has been excellent! I have called and texted her with my many (sometimes odd) thoughts about and details I want in a new home, and she has been wonderfully responsive with encouraging words as well as top-notch showings. Though I have not made a decision just yet, I am 100% more comfortable with the process knowing that I have such a team of experts on my side. Wonderful people to work with. Very happy with our experience and outcome. They work as a team which I feel contributes to their success. The Joe Manausa Team was awesome throughout both my selling and buying experience. I worked with Andy on selling my home and he worked with our schedules, listened to our concerns and made the entire process go by like a breeze. I worked with Caitlin reference the purchase of my new home and she was amazing. She responded to our questions and concerns promptly. Care went as far to work with our HOA and fence builder to get that all worked out when the seller backed out of that part of his offer. Even after the sell Cate checked on us and assisted with the last few issues we had. I was a little concerned with the two separate realtors by after the experience, I would highly recommend both Adam and Cate and the Joe Manausa team. We had the best experience with Joe Manausa Real Estate. Andy Elliott and his team were with us every step of the way in getting our home sold. Andy's dedication, communication, and attention to detail was much appreciated! They were very professional and we received great service in the selling of our home. I especially want thank Kimberly for all the great work she did during the final phase of our closing! Kim and her team did an outstanding job in showcasing our home. Kim explained the listing process even in a way old people like us can understand! Loved referring a home listing to Eva Armstrong/Joe Manausa. I focus on land and Eva is an expert on homes. Thanks Eva I know our customer is happy. Quick sale at a great price. Glen Sheppard was a pleasure to work with during the selling process. Our house sold just 2.5 weeks from listing! He was always responsive to my communications and professional. He pleasantly listened to my rants as I spoke through the entire selling process which made me feel supported and understood. I would recommend Joe Manausa Real Estate and Glen for anyone selling a home in the Tallahassee area. Eva Armstrong is FABULOUS!!! Five star. She sold me the condo and sold it for me when I was ready. She is highly professional and proficient. I saw how fast my neighbor's house sold on Royal Oaks. They sold back in May in 2 days! So I was like well let me give Joe Manausa Real Estate a try. I am very happy with the support I got from Ron Rice, Andy Elliot, John Bozeman, Penny Cantin, Amy McLean (Sunshine), and James Capps. You guys worked together to make this a very smooth transition for me. I am forever grateful. From one service member to all of you who have also served and continue to serve, keep up the good work! We are so grateful to Eva Armstrong and Joe Manausa Real Estate. We found Eva following a less-than-pleasant real estate transaction. Eva was responsive, knowledgeable, available, communicative and friendly! Eva was able to balance the communication between me and my mom, who was the home owner and seller. She always put my mom first, but kept me in the loop so I too was aware of next steps. Eva guided us through the pre-listing preparation, and once we listed the property we had an offer on the FIRST day listed. This offer ended up being the buyer, and we couldn't be happier! A nice young family now has a wonderful family home to grow in to and enjoy, hopefully as much as I did as a child and my mom does not have to worry about the upkeep of a large home. If you want a real estate agent who will guide you through the selling or buying of a house, will listen to you, and put your needs and concerns as her priority, call Eva! It was wonderful to work with Penny. Such a kind, helpful person. This office has a wonderful staff. I especially liked the way Penny Cantin helped me understand what the closing entailed. We worked with Jordan Scott, Kim and Alex to sell and buy our house, and thanks to Jordan's availibilty and effort, we found our dream home, but had only 30 days to sell our house to lock into contract. The team worked together to sell our home and because of the communication and energy of Kim and Alex, our house was under contract in 15 days! Our family was able to move into our new house with the whole Manausa team without a single snag or issue. Thanks Manausa team for making our dream come true! Glen Shepherd was wonderful to work with and kept continuous contact with us.We received multiple offers and a quick sell. Love the team work! Staff is knowledgeable while being friendly! Eva Armstrong is an amazing agent. She was informative, professional and kept in constant communication during the sale of my mother’s home. The experience with Eva and Joe Manausa Real Estate was a wonderful experience! Kimberly Gibbons was great throughout the process and deserves a five star rating. Kim Gibbens did a great job from start to finish.! My husband James and are so grateful to Joe Manausa Realty! Agent Kimberley Gibbens brought a difficult property we had been trying to sell to the closing table in about 6 weeks. This property had been under contract several times with other brokerage houses. Thank you to Kim for her excellent job! She was a pleasure to work with! Very good experience with Joe Manausa Real Estate. Expect a lot of marketing on the front end of the process and then watch your house get sold quickly. 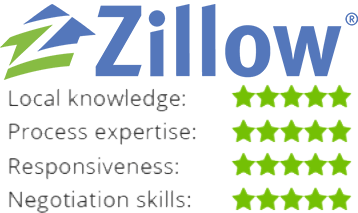 Glen Sheppard was very helpful and courteous through the process of selling our home. Any information we needed or questions to be answered was completed quickly and efficiently.Very good experience with Joe Manausa Real Estate. Expect a lot of marketing on the front end of the process and then watch your house get sold quickly. Glen Sheppard was very helpful and courteous through the process of selling our home. Any information we needed or questions to be answered was completed quickly and efficiently. You can tell a lot about a company by how it treats outgoing employees. I recently left the Joe Manausa team to pursue a rare opportunity in the non-profit field, and everyone all the way up was nothing but supportive. This team has so much heart, and they really do work their tails off for you. They use a combined pool of knowledge and other resources to give each client a small business approach with large scale expertise. They have 5-Star ratings across the board for a reason, and I will always do business with them. We love our home, but are moving out of state to be closer to family. We bought our house 5 years ago, and have upgraded several gestures in our home. Another local agent mentioned "we'd be lucky to break even" in selling our home, and that we needed to invest even more before listing! When Andy Elliot from Joe Manausa came to our house, he was optimistic and encouraging. He listed us, as is, at 15K more than the first recommendation. We had a great offer 3 days after listing! Working with Andy showed me that selling a house, while an overwhelming in general, doesn't have to be an awful experience! We are walking away with more than our initial investment! I was and I am so pleased with the quality of this company and Kimberly Gibbens. This is the second time I used Joe’s company and I wasn’t disappointed. Kimberly Gibbens came to my home after work hours and explained everything about the selling of my home. She was so informative she even told me things I was not aware of. Kimberly was awesome!!! I highly recommend this company and Kimberly. Thanks guys you did a great job!!! John Bozeman at Joe Manuasa Real Estate...I couldn't have done it without you. Thank you, thank you, thank you! I rarely do testimonials, but Joe Manausa Real Estate truly deserves one. After living in our home for over 18 years, we were ready for a change. We had been working with Lindsey Begue, who knew exactly what was on our wish list. Lindsey knew the market and showed us a new build that was soon to be listed. We saw it, loved it, and wrote a contract. The next day, our current house was advertised as a “coming soon” and was under contract on the day it was listed by Andy and the listing team. Both houses closed simultaneously within 3 weeks. We are enjoying our new home! We love the whole team at Joe Manausa everyone is very helpful and nice and they SOLD our house yay!!! I just cannot say enough about Eva Armstrong of Joe Manausa Real Estate. Eva and I worked together years ago and when I saw her name connected with Joe Manausa, I knew she would be a star salesperson. She did not disappoint. Eva sold my home in three days and then sold my daughter's townhome a couple weeks later. Her service goes well beyond the average realtor... in fact, as far as holding my hand through some difficult situations to getting me help packing. She is unbelievable! Thank you Eva for everything you do! A great realtor and a great friend. Believe the hype! I have to admit that I was a bit skeptical that one business could get so many positive reviews. It was when I started seeing reviews from people that I know personally that I decided to take a chance and bring on the Joe Manausa team for the sale of our home in Tallahassee. Andy Elliot came out to our home and reviewed their marketing strategy and potential timeline. Later that day, Andy had provided us with a list price that was actually higher than we had hoped for. Within days, their amazing photographer was on site to take photos of the property. Our home was listed on their Coming Soon website, as well as social media. It didn't take long (hours) before we saw people driving by taking pictures of our home. For the next week we observed dozens of folks stopping and looking at the house. We knew that we were going into listing our house with a lot of momentum. By the time the house actually went on the market, we had a line of appointments for showings. We received multiple offers the day of listing and were under contract that same evening. Right up to the day of closing Andy and Penny communicated proactively to make sure that everything was moving with alacrity. We closed on time without so much as a hiccup along the way. This should have been a stressful process to some extent, but Andy and team made it enjoyable - to the extent that I will almost say that it was fun. This is one well-oiled machine that has earned it's reputation. I would not hesitate to work with Andy and the Joe Manausa team again! I don't feel there is a better Real Estate agent than Jason Madsen of Joe Manausa Real Estate!! I recently sold my home after listing it with him and the transaction was seamless. He took care of EVERYTHING that needed to be done to close the transaction and kept me informed the whole time. Jason is a very positive, energetic, and accomplished young man. He knows his stuff and works tirelessly to help you achieve the end result. His enthusiasm is above most and I will definitely use him in the future. He will also be my referral to everyone. I know they won't be disappointed!! I sold two houses and purchased one all within a six month period. Everybody at Joe Manausa Real Estate was great throughout the process. Great team of hungry go getters very professional and always understanding! Top notch group! We had a fantastic home buying and selling experience with Joe Manausa Realty. Lindsey Begue and Ron Rice were right there with us every step of the way. We can’t thank them enough for helping us find our Tallahassee dream home. Ron sold our house in three days. Marcus found us a new property within a week of our calling him. Both were very professional and organized. My wife and I were extremely pleased with their professionalism. We recently sold our home with the help of Andy Elliott at Joe Manausa Real Estate. I cannot say enough good things about Andy. He is a top notch professional. Two days after our house hit the market we had multiple offers! Andy made sure every last minor detail was handled so that we did not have to worry about the stress and hassle of selling our house. Andy, James, Penny and the rest of the team really took care of us! Fantastic group!! Our home buying experience with Manausa Realty was very pleasant. Thank you Lindsey Begue and Ron Rice for all that you did to get our family into our Tallahassee dream home. Eva was very helpful and patient, and always worked to find answers to my questions (if she didn't already have them). Manausa, and James Capps in particular, provided an efficient and painless process to successfully selling my home. Manausa is a wonderful team and I would highly recommend them. These guys were amazing. I worked with Ron and their expertise in negotiating a sale involving a rental house was invaluable. They helped us with an extremely challenging situation and were available 24/7. I do not usually give recommendations, but in this case it was earned and then some. We recently decided to put a duplex rental property in Tallahassee up for sale and contacted the Manausa organization. Not long after we were in the hands of a sales team headed by John Bozeman. John said the Manusa organization was geared for and excelled at marketing properties, and he wasn't kidding, Within days we had an offer. And before we could respond to that offer, we got another offer for more than we had asked. Guided by John it was an easy process. We got results fast and would certainly recommend the Manausa team to any seller wanting the same results. Ron Rice of Joe Manausa Real Estate took great care of us and helped us sell our FL home quickly and for a fair price. His team walked us through the process every step of the way. If you have a home to sell, I highly recommend them. Andy Elliott of Joe Manausa Real Estate was the perfect realtor for selling my Betton Hills home. He helped me through every step of the process, was very easy to communicate with from the first day and made the process of selling my home smooth and easy. Penny Cantin was also very helpful in guiding me through every detail and the steps involved with the closing. Andy Elliott and the whole Joe Manausa team (literally) went the extra mile to help us sell our house in Tallahassee (we had already moved to Maryland). We had other realtors who were unable to adequately manage the logistics of helping us maintain the property, show the property, all the while keeping us updated on the progress. Andy was terrific with his discussions about challenges to selling and how to overcome them. We have known and respected the Manausa family for almost 20 years and were so thankful they were able to finally help us sell our home. If you have a home to sell or are interested in finding a home in Tallahassee, be sure to call Joe Manausa Real Estate and ask for Andy Elliott. OMG What a journey..sold my home in 1 day. I wasn't prepare but thanks God I have James from the Joe Manausa team. He kept me inform thru out the whole process. Very professional,knowledgeable and informative..a big THANK YOU to Penny Cantin for all those phone call and being so nice and understandable..What a great TEAM..Thank you for everything..
John Bozeman at Joe Manausa Real Estate was extremely helpful when I became interested in listing my home to sell. He stayed in touch with me while I was deciding and provided me with a wealth of information on what I needed to do in order to prepare my home so that it would be "market ready" for selling. I highly recommend Joe Manausa Real Estate. I had a wonderful experience with Joe Manausa Realty. I was interested in selling my home and I wasn't sure when I was going to actually list but my agent, John Bozeman, stayed in touch with me off an on for several months, which meant a lot to me. He made me feel like he really wanted me as a client. Once I was ready, he provided me with an abundance of information on what I needed to do to prepare my home for the market. I am forever in his debt and his customer service was top notch. Marcus and the team at Joe Manausa Real Estate are extremely helpful in all aspects of the transaction. They are truly experts of the Tallahassee Real Estate market. I would highly recommend the JMRE team if you are thinking of buying or selling your home. Joe Manausa Real Estate is the only company I trust to take care of my real estate needs in Tallahassee. They are by far the most customer service oriented company in Tallahassee and I am thrilled with their level of professionalism and experience. There is no better team in town! If you are buying or selling a home, call Joe - I promise you will not be disappointed. My retirement goals include purchasing investment properties. I've done some research and made a few mistakes trying to negotiate through contracts on my own. I was referred to Caitlin Saunders at Joe Manausa Real Estate and was supremely impressed with her knowledge of the local Tallahassee real estate market. She is attentive and proactive in sending me information on properties to enhance my growing land portfolio. I wouldn't want to work with anyone else to research and purchase investment properties. Through working with Caitlin, I was referred to Kimberly Gibbens at Joe Manausa Real Estate who specializes in working with people hoping to sell their homes. Kimberly was able to quickly assess my home and provide a competitive market value. My wife and I have been extremely pleased with her responsiveness and knowledge of the area. We are confident that our home will sell quickly because of the extensive marketing this company provides. We have felt well loved by the entire team at Joe Manausa Real Estate and look forward to working with this company for years to come. Thank you Caitlin, Kimberly and the entire Joe Manausa Real Estate team! Joe Manausa’s team of experts are always professional and are ready to assist you at the drop of a hat. They thoroughly get to know you in order to help you achieve your end goal quickly and reasonably. Their website is designed for easy use as well in case you just want to browse local listings! Joe Manausa Real Estate by far exceeds all standards and expectations one would expect. From Andy Elliott who guides a seller through the entire process to James Capps and Maggie who handle ensuring the listing is presented in its best light, and Penny meticulously focused on all i’s getting dotted and t’s crossed...you can’t go wrong choosing them for your Tallahassee realty needs. The marketing is incredible!! And don’t get me started about buying...tip top job by Lindsey Begue getting our dream home in Buck Lake. She tirelessly worked worked on finding a home that suited our needs! I have worked with Lindsey Begue and she is by far the most attentive and relentless realtor I’ve ever worked with. She keeps us in mind and shares listings frequently and has been an amazing resource. I would recommend Lindsey to anyone if they wanted to buy or sell their house! The agents at Joe Manausa real estate are the best in Tallahassee! I recommend them for all of your real estate needs. 5 stars to Team Manausa. Not just another "Joe"
If you're looking to buy or sell your home, there is no better company to work with in Tallahassee than Joe Manausa Real Estate. They truly care about each and every one of their clients and it really shows. They are also incredibly veteran friendly, as almost half of their employees are veterans which is something I can definitely get behind! Very highly recommended. If you're thinking about buying or selling a home in Tallahassee there is no better company than Joe Manausa Real Estate. Taking care of the customer is their number 1 focus and they truly deliver! When we met agent John Bozeman, it was evident he had the knowledge and skills needed to sell our beloved lake house. Of course we signed with him! AN OUTSTANDING EXPERIENCE! When it came time to sell my parents’ home, I selected Joe Manausa Real Estate based on their unique marketing strategy and 5 star customer reviews. While I had some initial concern regarding selling a property that was 3 ½ hours from my home in Jacksonville, there was no need for worry. My realtor, Buddy Gridley, and the Manausa Real Estate Team were absolutely amazing. If you are looking for a knowledgeable and highly motivated professional who makes you feel your home and its sale, in a timely manner, is of utmost importance, look no further than Buddy. He guided me through every aspect of the listing and sale process, giving me sound advice. Buddy Gridley, who went above and beyond any expectations I had, and the Joe Manausa Real Estate Team, receive a 5 Star Rating from me! We were really happy with the marketing strategy of Manausa and how quickly our house sold! Only five days on the market! Very impressed with how well this company works. Our agent, John Bozeman, is very nice and got the process of selling our home started quickly. The photos taken of our home look fantastic. We could not be more pleased on how the process is going so far. We were able to meet with Manausa and get our house listed within two weeks. Our house then sold within five days of being on the market. We were happy with the marketing strategy and communication efforts. Kimberly Gibbens does a wonderful job and keeps you posted and updated with everything that is going on. She was easy to work with and very professional. Joe Manausa Real Estate works together as a fantastic Team! Very supportive and they get the job done! They helped sell my home in just a little over a month! Highly recommend! Four days from closing and the Manausa team has me absolutely prepared to close on my townhouse for the price I thought I could get. They are one big team with John Bozeman as my specific realtor that I know I could depend on. Since they have such a large presence in the Tallahassee area not only do I believe my property had the visibility it needed to sell fast -- it also wound up making it more likely that they would represent a buyer that wanted to purchase my townhouse. That was what happened in my townhouse sale which made my sale absolutely seamless. A kind, non stressful, and helpful attitude has been my experience with these people so far. They are very sweet. The Manausa team handled both the sale of our old home and the purchase of the new one. It was a wonderful experience and we felt we were in great hands the whole time. Very professional, organized & supportive through the whole process. Ashley, Andy, Penny and many others made the entire process seamless and smooth and we will always be grateful. Thank you! As a seller, I met with Garrett Jacks of Manausa. The experience was totally positive. My initial anxiety evaporated quickly as Garrett explained the Manausa team and strategy. This is no ordinary real estate firm. This is a professional, highly skilled , caring team that is laser-focused on success. That focus on success was communicated with rapid response in less than 24 hours of my first contact. As a first-time seller I wasn’t sure what to expect at the initial meeting with Adam Elliott. As he presented the Manausa strategy my anxiety eased away. Adam explained it all so that it was understandable and answered any questions I had along the way. I feel confident that future questions will be dealt with quickly and professionally. 5 star service all around! Selling my home has been an emotional process, but I am overjoyed to have gone through the process with Joe Manausa Real Estate. I worked with Andy Elliot, and he was available to address my concerns every step of the way: super down-to-Earth, super knowledgeable. I followed his advice and was able to accept an offer just DAYS after my home was listed under terms that will allow my move to be seamless. Thank you to Joe Manausa Real Estate for making an emotional process a lot easier, and thanks to Andy Elliot for taking me through! My husband and I used Joe Manausa Real Estate as first time home buyers a few years ago. Everyone in their company was fantastic to work with! Now we are planning to move out of Tallahassee and we did not hesitate to call Joe Manausa to sell our home as well! They have the best marketing and social media presence which is what you need in 2018! We cannot say enough about the professionalism and knowledge gained through our experience with the agent, John Bozeman. Despite the difficulties involved in preparing our property for sale he maintained a positive and supportive attitude. Selling a house is stressful. Working with the right agency and the right agent helps to relieve it. I had a great experience with the Manausa Team. They work together to create an efficient experience. Between Andy Elliott handling the listing and Penny Cantin handling the closing we were always in touch with a professional. Eva Armstrong is a great realtor. We had nothing but positive experiences. Our tough-to-sell home sold quickly. I strongly recommend Eva and the Manausa team. Eva Armstrong has been our agent when we bought and subsequently sold our Tallahassee residence. She was present at every showing, which seems rare among agents these days. Having the listing agent available to answer any questions and having the opportunity to SELL the property is a terrific advantage. Eva devoted a large amount of time to market and sell our property successfully. Andy and his team did an outstanding job in selling our home. Everything went smoothly and the closing attorney and her staff did an excellent job. Andy has taken the time to help me through the process of selling my home every step of the way. The team at Manausa Reality is amazing! We listed our home for sale with Joe Manausa Real Estate, from the initial meeting until closing everything was perfect. Our first meeting with Ron the entire process was explained thoroughly, all of our questions were answered and we walked away feeling great about the partnership. Then we met with realtors who would list our home John and Maggie they also were very detailed regarding the selling process. Once our home was listed we had a contract within approximately 5 days and closed about 30 days later. Penny is an absolute Godsend to this team She contacted us and explained the next phase of our process before the actual closing date and she attended the closing, she's such a sweetheart! The selling of our home went much smoother than we could have ever imagined thanks to the team at Joe Manausa Real Estate!! Maggie was great to work with to sell our house. There was a slight issue at the beginning, but once brought to her attention, she quickly fixed the issue. She gave us frequent updates and kept us in the loop throughout the entire process. There was also a closing checklist that was very valuable to make the closing go smoothly. Definitely would use Maggie again - we highly recommend the entire Manuasa team. I had to relocate in advance of the home being sold. All matters we're managed as if I were still in the home. My realtor Andy was incredibly responsive and made what could have been a nightmare a dream. I highly recommend this professional organization.